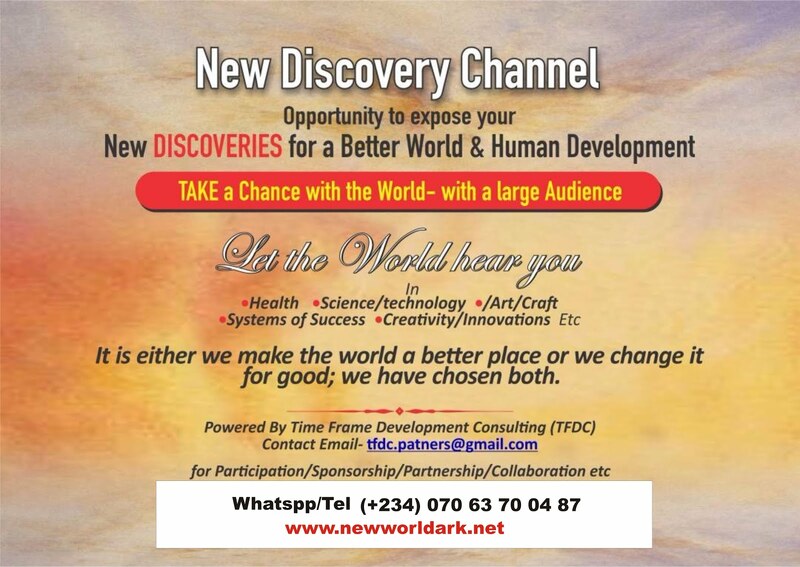 This is the THE SECRET OF GREATER CHANGE AND TRANSFORMATION OF NIGERIA. 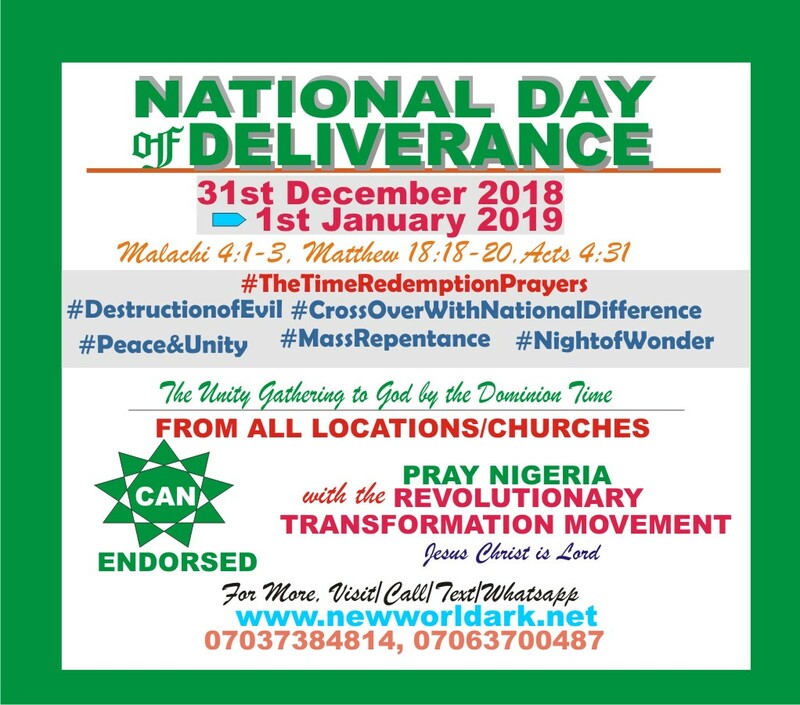 It is is an urgent call by God that we all should begin to use the TIME REDEMPTION PRAYERS daily and most importantly collectively on the set day of National Deliverance and for all round divine interventions of God Almighty in Nigeria. 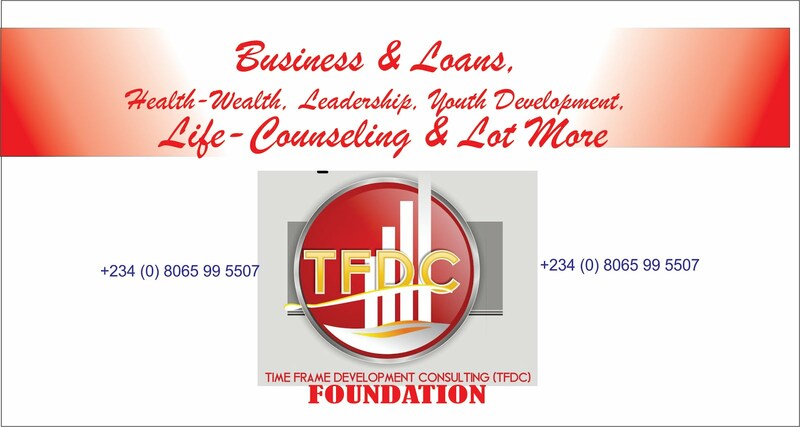 It may now be clear to everyone that the solution Nigeria needs is clearly divine for leadership, security and otherwise as being revealed. The Time Redemption Prayers is the most selfless service that is needed now. 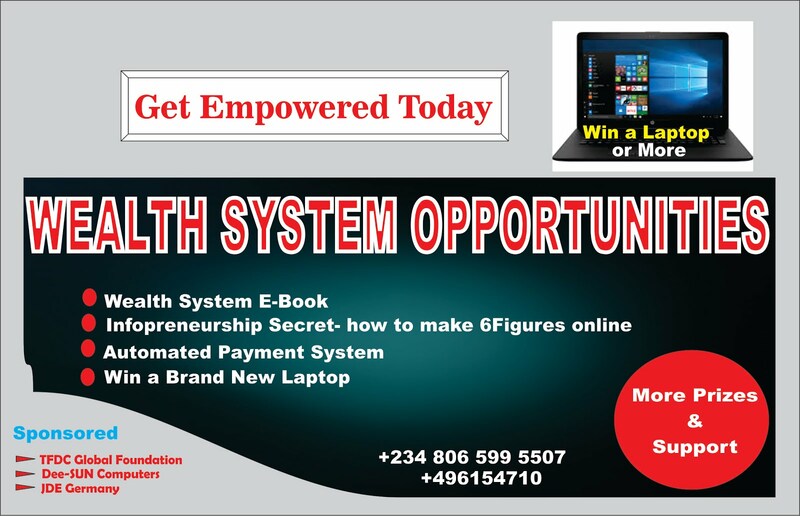 · Be angry and ashamed to die if you have not won a victory for humanity or creation. · Let it not be heard that it is Christians that would not obey simple instruction in unity through grace and for the sake of National emergency. God Forbid! 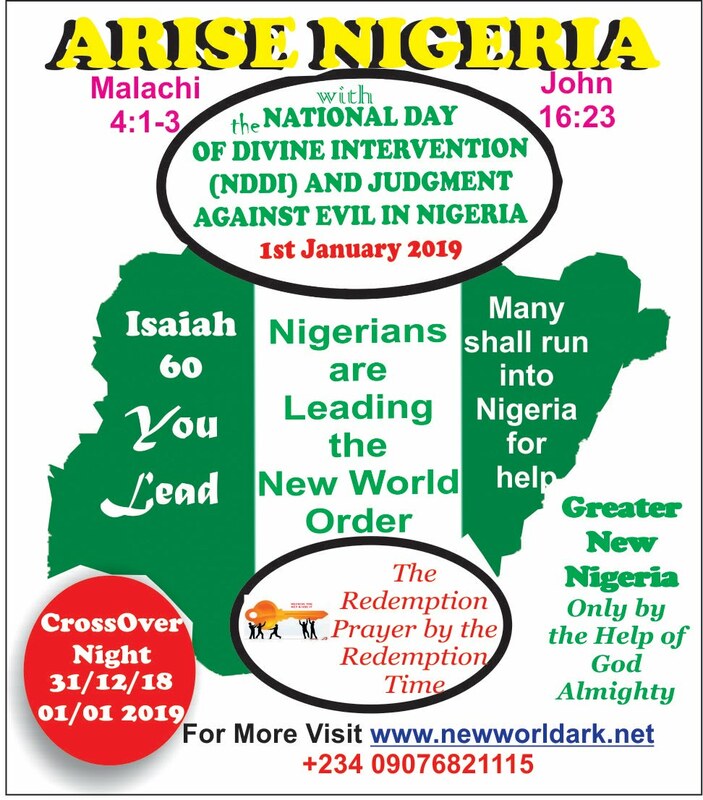 · Therefore now you are SPECIALLY CALLED to join the course of enforcing the rule of God in Nigeria and where you are by using the daily TIME REDEMPTION PRAYERS. WHAT IS THE TIME REDEMPTION PRAYERS? 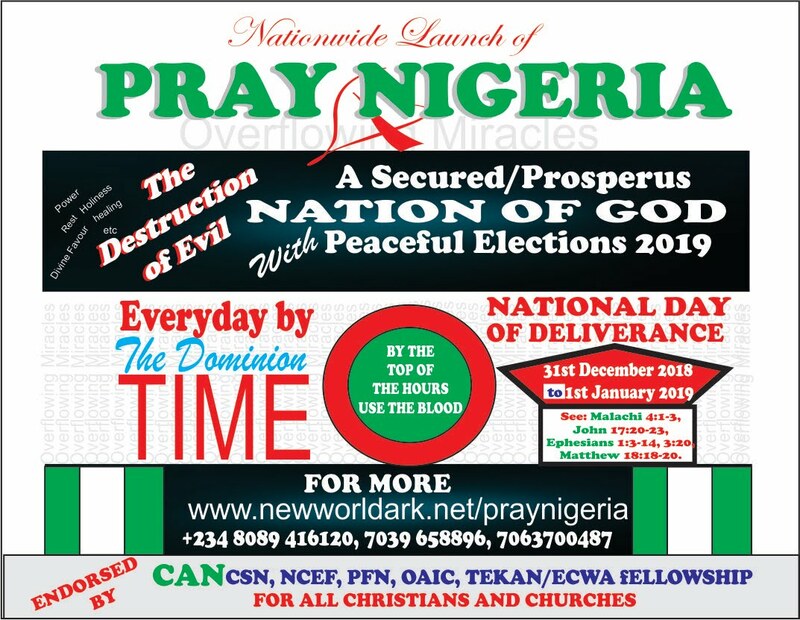 · The Time Redemption Prayers is being published as PRAY NIGERIA being a unity prayers structure for divine intervention in all things as revealed by God. 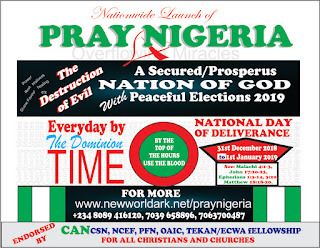 · To this effect, a National Day of Deliverance has been set by which all Christians should gather in and from their respective locations or churches to pray using the holy principles of the Time Redemption. 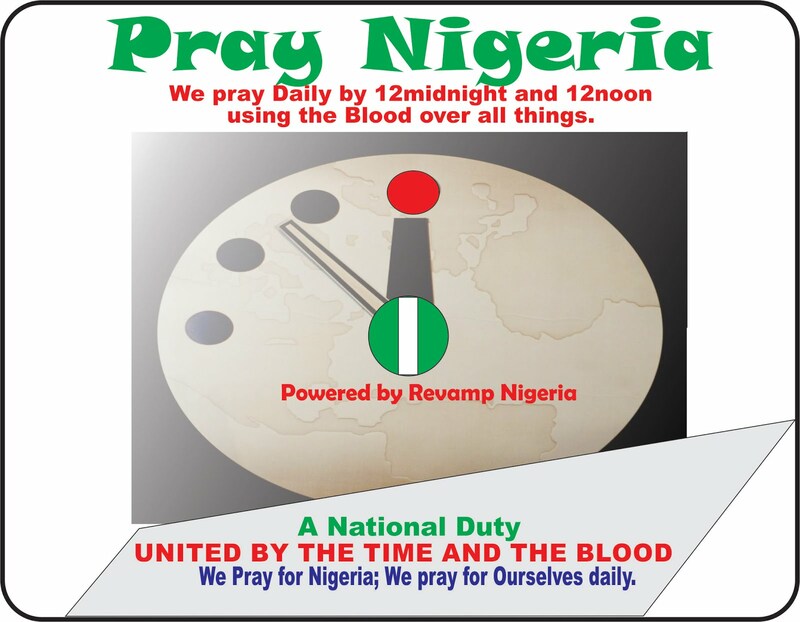 · That by 11pm, 12midnight, 1am and 12noon, you should plead the Blood of Jesus Christ on Nigeria, yourself, city/land/state, and on the date/day. This should be the unique difference of this day from the normal Crossover service: personally or collectively. · You should use the TIME REDEMPTION PRAYERS from your location (home, work, or inside a church, on the road etc). Don't forget the 12noon also. 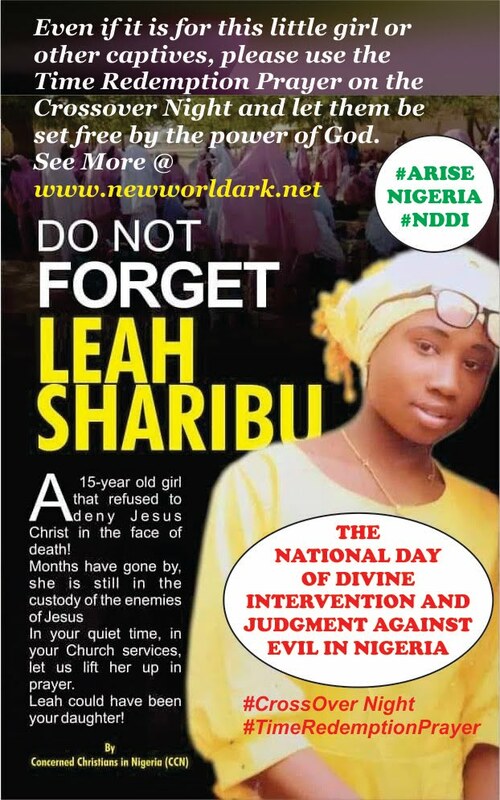 · That there shall be diverse numerous miracles and Interventions of God in you and in Nigeria to be acknowledged by the whole and generations to come. 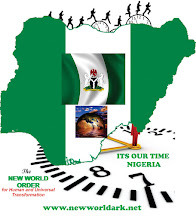 By this, Nigeria will lead the world in greatness and have godly leadership. It shall be greatly miraculous. 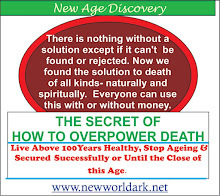 · That everyone sponsoring evil will be dismantled or changed to do God’s will. All TYPES OF EVIL PLANS shall be destroyed just as it was with the Israelites on the day the left slavery. 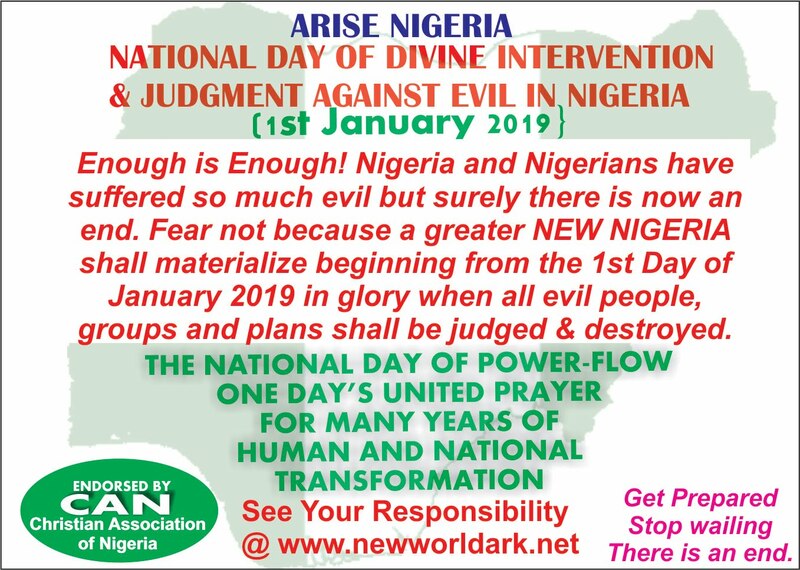 JUST DO YOUR PART: Pray daily by the time and also do so faithfully on God’s appointed date (31st December 2018- 1st Jan 2019) in unity. Use the time especially the night for daily devotion constantly. 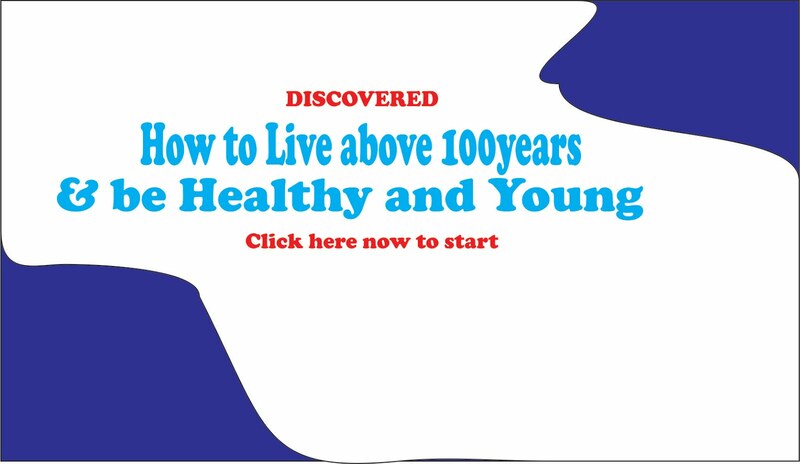 · Therefore if you are sleeping over the time, you should be angry with yourself. This is because you are NOT doing yourself or the nation and the world good. 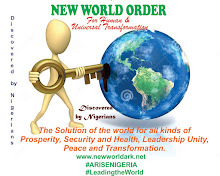 · By using the time, you are guaranteed daily intervention of heaven and support of earth and it is because you are redeeming (exchanging) the time from evil to good and by the Blood. Whatever you think of in God can be received because you obey God by obedience to His word. 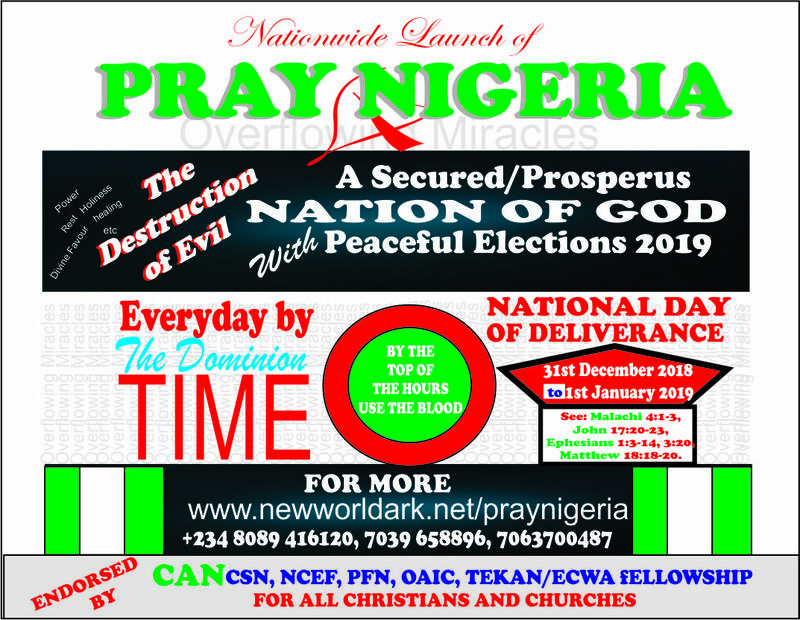 · Please pray as God demands to survive and escape from the current global calamites to ensure peaceful election in Nigeria. 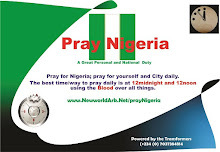 · You may not be able to make any serious change WITH JUST YOUR PVC without effective prayers as being revealed. This is a fact. · Using the DOMINION TIME, we are the watchers-in-service-elect (WISE) to adjudicate in the stead of God daily and it is a great privilege of grace. See Daniel 4:17. 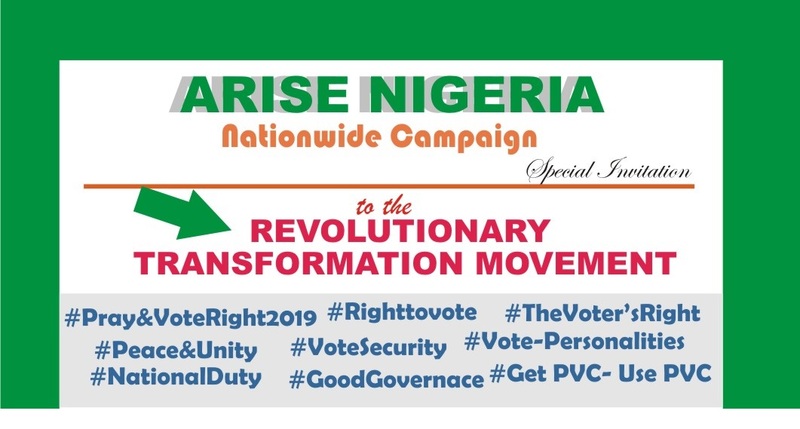 Those we shall vote into public offices should be users or partakers/supporters of the grace in the Time Redemption Prayers selflessly and sacrificially. 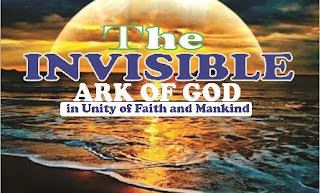 The blind should not lead the blind or those with vision- See Proverbs 13:20 27:17-19, Luke 6:39. · This is the grace of God and you should know that the grace of God is not abstract but reveals to a man the instructions he should follow to receive divine interventions or to make things right. This is the grace of God to us in love and for us to obey. 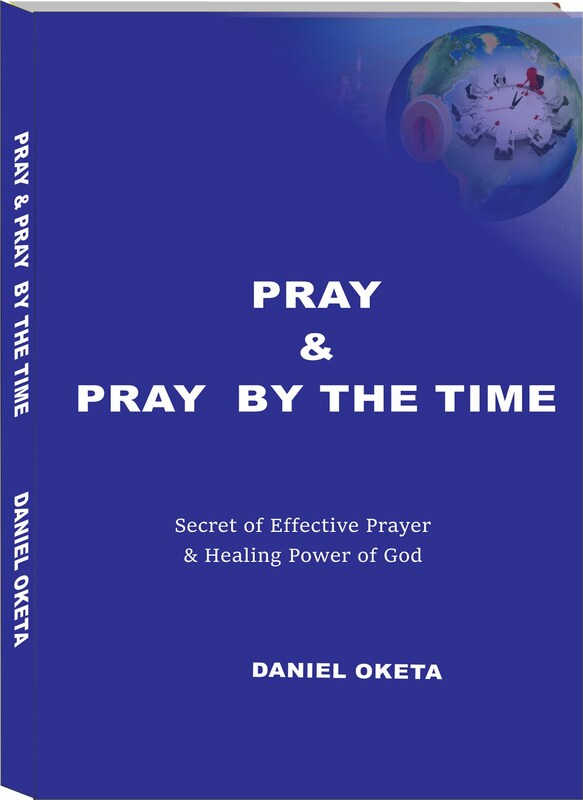 · Praying by the Dominion Time (The Time Redemption Prayers) and showing or publishing same to others require selflessness commitment and sacrifice. Do it. Daniel 12:3. Consider these Scriptural References: Malachi 4:1-3' Luke 9:23-26,62, Mathew 12:25:Ephesians 1:3-14; 3:20. 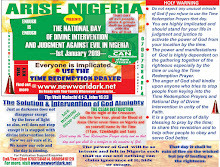 Using the Dominion time in the Time Redemption Prayer is God's all round protection system being revealed and for all round breakthrough and for mighty and visible divine visitation against evil DAILY.